At RAS the organic load tend to be high and the homogeneous fish stock leads to a high risk of infections and problems with bacteria, fungi and viruses. Although ozone is not primarily used for disinfection at RAS the reduction of solids and DOC often creates an environment that is less favourable for bacterial growth and thus creates a reduced need for disinfection. The organic load is a constant concern for RAS systems, especially when the fish density is high and the water exchange rate low. Ozone has the ability to cause clumping or micro flocculation of fine and colloidal solids, which in turn facilitates removal by filtration and sedimentation. Ozone changes the characteristics of the dissolved organic compounds (DOC) by oxidation and precipitation which makes it easier to remove the DOC by bio filtration and sedimentation. A high organic load is a favorable environment for nitrite growth. When reducing the organic load with ozone treatment the risk of nitrite growth is also reduced. Ozone also has the ability to oxidize nitrite to nitrate. Suffer any of the above problems with water quality at your RAS plant? Contact our Aquaculture Specialist Dan Johansson. To find out more about how ozone increases productivity in RAS, please read our article in Global Aquaculture Advocate. Full magazine to be found here. 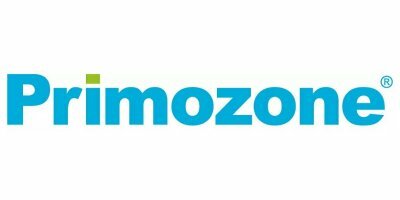 How Primozone can help you increase productivity with ozone water treatment.